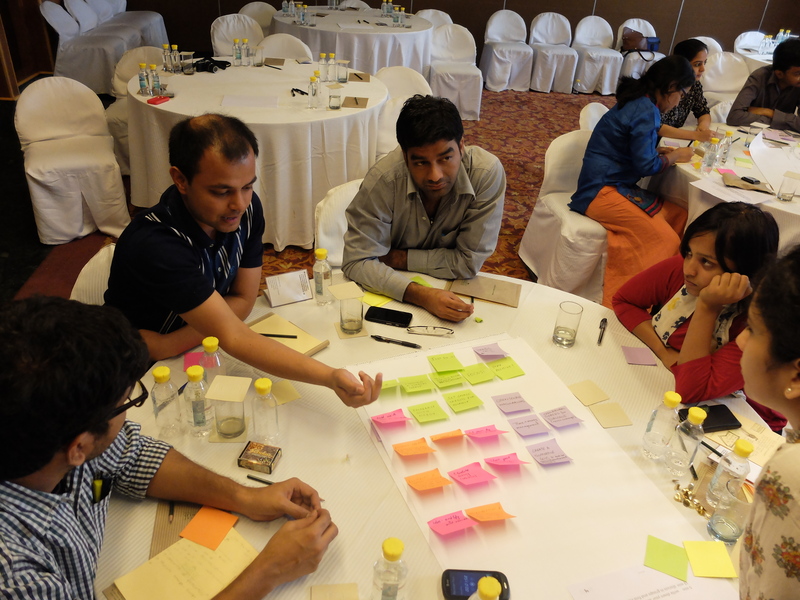 Last month our Mimba team was in New Delhi to hold 2 co-creation workshops with potential users. We gathered up with engaged citizens, who shared their experiences with supporting causes with a focus on online activism. And day 2 was spent with organizational representatives from the women’s health and rights sector. We discussed organizational goals, challenges and ideas for overcoming them. 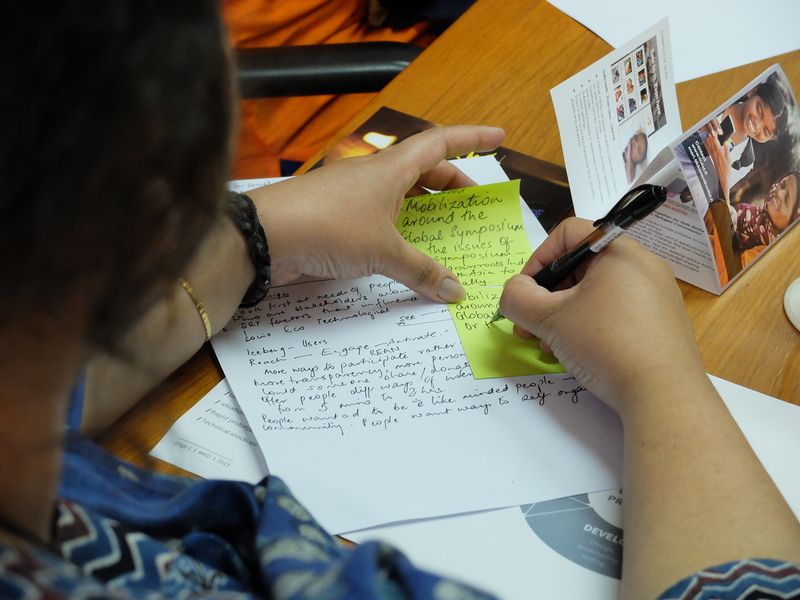 Participants expressed a yearning for meaningful ways of participating with social change issues. They want ways to meet like minded people and engage in a community of active changemakers. Some conveyed a desire to engage in deeper ways but face limitations of time. Others spoke of not trusting media reports on issues and wanting a nuanced and informed understanding to know where the problems and solutions really are. Barriers to interacting with social change organizations included finding the right organizations to work with. Another demotivator is the time and effort it takes to follow up on an organizations impact and to receive feedback on the impact of your contribution. Participants discussed about the limitations of current digital tools, where online engagement is driven by number of clicks and likes. And the need for open and neutral spaces for dialogue. Offline meetups, activity clubs, sharing skills, small rewards and field visits were suggested solutions. Participants also spoke of self motivators, like setting small targets, interacting with the underprivileged, building patience for change, and sharing their experience with a wider audience. 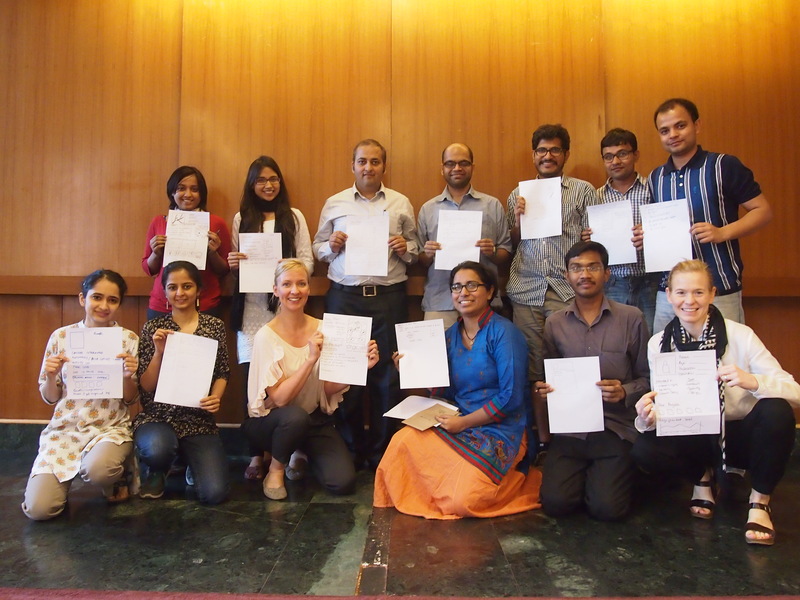 For day 2, we invited a host of MAF grantees working with women’s health and rights issues. The day saw professionals from advocacy, communication and research backgrounds from organisations including Breakthrough, CEDPA-India, CHSJ, HAQCRC, ICRW, IPAS, MAF, MAMTA-HIMC, NFI, Population Council, PFI, TARSHI and the YP Foundation. To paint a clearer picture, here’s a few examples of issues these organisations address: maternal and new born care, family planning, reproductive health and rights for adults and adoloscents, child health and child rights, girl child education, women’s skill development and employment, preventing violence against women, women’s safety etc. Organizations were concerned about how to create a constituency of supporters and creating a reach for a wider audience. They would also like to bring their offline beneficiaries and online supporters together. Representatives recognized that collective messaging of their communication and evidence would be an effective way to influence policy. Hosting webinars to share information, helpline that serves as a direct access to colleagues in other organisations, accessing innovation grants, an updated glossary on terminology were some ideas to boost innovation in their intiatives. Organisations are grappling with collaborating with each other and also wish to go beyond their own networks. There is an interest in sharing resources, knowledge and best practices with each other and with others globally. Building a global directory of members was an oft quoted solution. Keeping a keen eye on the insights we’ve gathered, we’re now moving forward to envision the core value that Mimba will deliver. The next few weeks will be spent building our first set of prototypes. So here’s the mimba team signing off to spin some Mimba magic!